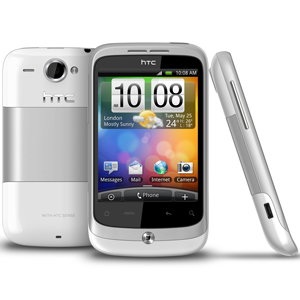 The HTC Wildfire is a smartphone released in June of 2010 by HTC. The phone ships with Android 2.1 Eclair. The phone features a 3.2" LCD screen with a 240x320 screen resolution. The Wildfire is available in Europe, Australia, Taiwan, Malaysia, and Mexico. The name Wildfire was chosen based on a poll on Facebook. The HTC Buzz: Wildfire is considered a successor to the HTC Tattoo.